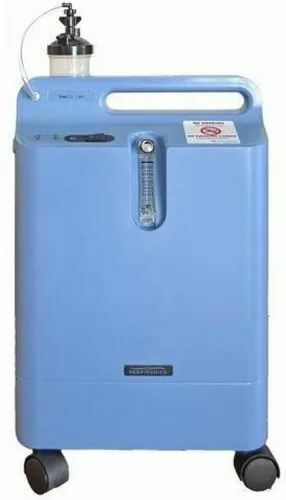 Pioneers in the industry, we offer philips oxygen concentrator, oxygen bag, inogen one portable oxygen concentrator, airsep vision air oxygen concentrator, portable oxygen concentrator and invacare oxygen concentrator from India. We offer high quality oxygen bags that are fabricated using premium grade raw materials. These oxygen bags have the capacity of 42 litres.These bags have gained huge appreciation for their precision designs, high efficiency and durability. We also offer customized services for these bags at market leading pries. The new portable oxygen concentrator Inogen One G3 provides the independence of all previous concentrators Inogen One, but now in a smaller size, less weight and producing more oxygen in each setting. Extended battery (up to 8 hours on setting 2). AirSep's VisionAire 5 Oxygen Concentrator is light, quiet and efficient making it an ideal concentrator for full time oxygen therapy users. With nearly silent operation, VisionAire 5 provides up to 5 LPM of continuous flow oxygen 24-hours a day, 365-days a year. VisionAire is compact, easy to use, and virtually maintenance free so it's easy to accommodate in your home. VisionAire is built to last with durable construction, a sophisticated internal motor, and a surprisingly low price. Provides up to 3 hours and 40 minutes of extra run time for the XPO2 Concentrator. Invacare Platinum 10 Oxygen Concentrator Quiet oxygen concentrator includes Invacare HomeFill system port for inventory flexibility. 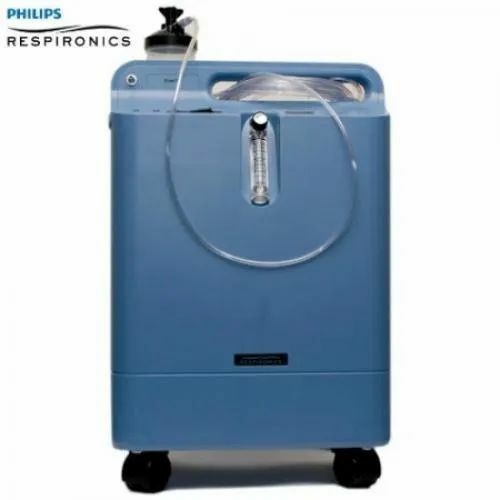 SimplyGo is Philips first oxygen concentrator that offers the benefits of a continuous flow mode in a lightweight,easy-to-carry design of 4.5 kg. No need to compromise between an effective oxygen therapy output for your patients and the usual weight of the device. Simply Go offers a solution that fulfills the needs of most of your oxygen-therapy patients. With SimplyGo, patients have the flexibility to be away for the day, for work, for a weekend or a long holiday.